Adjuvant therapy, also known as adjunct therapy, add-on therapy, and adjuvant care, is therapy that is given in addition to the primary or initial therapy to maximize its effectiveness. The surgeries and complex treatment regimens used in cancer therapy have led the term to be used mainly to describe adjuvant cancer treatments. An example of such adjuvant therapy is the additional treatment  usually given after surgery where all detectable disease has been removed, but where there remains a statistical risk of relapse due to the presence of undetected disease. If known disease is left behind following surgery, then further treatment is not technically adjuvant. An adjuvant agent modifies the effect of another agent, so adjuvant therapy modifies other therapy. An adjuvant is a pharmacological or immunological agent that modifies the effect of other agents. Adjuvants may be added to a vaccine to boost the immune response to produce more antibodies and longer-lasting immunity, thus minimizing the dose of antigen needed. Adjuvants may also be used to enhance the efficacy of a vaccine by helping to modify the immune response to particular types of immune system cells: for example, by activating T cells instead of antibody-secreting B cells depending on the purpose of the vaccine. Adjuvants are also used in the production of antibodies from immunized animals. There are different classes of adjuvants that can push immune response in different directions, but the most commonly used adjuvants include aluminum hydroxide and paraffin oil. Bernard Fisher, MD, FACS, is an American surgeon and a pioneer in the biology and treatment of breast cancer. He is a native of Pittsburgh. He was Chairman of the National Surgical Adjuvant Breast Project at the University of Pittsburgh School of Medicine. His work established definitively that early-stage breast cancer could be more effectively treated by lumpectomy, in combination with radiation therapy, chemotherapy, and/or hormonal therapy, than by radical mastectomy. The University of Pittsburgh is a state-related research university in Pittsburgh, Pennsylvania. It was founded as the Pittsburgh Academy in 1787 on the edge of the American frontier. It developed and was renamed as Western University of Pennsylvania by a change to its charter in 1819. After surviving two devastating fires and various relocations within the area, the school moved to its current location in the Oakland neighborhood of the city; it was renamed as the University of Pittsburgh in 1908. Pitt was a private institution until 1966 when it became part of the Commonwealth System of Higher Education. Despite the initial pushback from the breast cancer surgeons who believed that their radical mastectomies were sufficient in removing all traces of cancer, the success of Bonadonna's and Fisher's trials brought adjuvant therapy to the mainstream in oncology. Since then, the field of adjuvant therapy has greatly expanded to include a wide range of adjuvant therapies to include chemotherapy, immunotherapy, hormone therapy, and radiation. Hormone therapy or hormonal therapy is the use of hormones in medical treatment. Treatment with hormone antagonists may also be referred to as hormonal therapy or antihormone therapy. The most general classes of hormone therapy are oncologic hormone therapy, hormone replacement therapy, androgen replacement therapy (ART), and transgender hormone therapy. 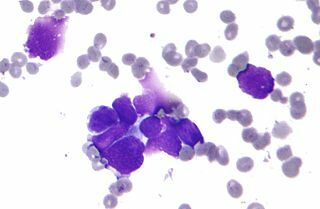 Neoadjuvant therapy, in contrast to adjuvant therapy, is given before the main treatment. For example, systemic therapy for breast cancer that is given before removal of a breast is considered neoadjuvant chemotherapy. The most common reason for neoadjuvant therapy for cancer is to reduce the size of the tumor so as to facilitate more effective surgery. 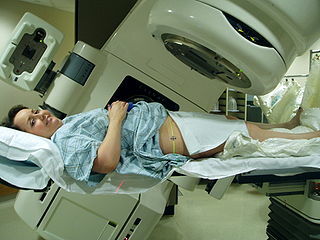 For example, radiotherapy or systemic therapy is commonly given as adjuvant treatment after surgery for breast cancer. Systemic therapy consists of chemotherapy, immunotherapy or biological response modifiers or hormone therapy. Oncologists use statistical evidence to assess the risk of disease relapse before deciding on the specific adjuvant therapy. The aim of adjuvant treatment is to improve disease-specific symptoms and overall survival. Because the treatment is essentially for a risk, rather than for provable disease, it is accepted that a proportion of patients who receive adjuvant therapy will already have been cured by their primary surgery. Adjuvant systemic therapy and radiotherapy are often given following surgery for many types of cancer, including colon cancer, lung cancer, pancreatic cancer, breast cancer, prostate cancer, and some gynaecological cancers. Some forms of cancer fail to benefit from adjuvant therapy, however. Such cancers include renal cell carcinoma, and certain forms of brain cancer. Hyperthermia therapy or heat therapy is also a kind of adjuvant therapy that is given along with radiation or chemotherapy to boost the effects of these conventional treatments. Heating the tumor by Radio Frequency (RF) or Microwave energy increases oxygen content in the tumor site, which results in increased response during radiation or chemotherapy. For example, Hyperthermia is added twice a week to radiation therapy for the full course of the treatment in many cancer centers, and the challenge is to increase its use around the world. In the context of melanoma, certain treatments, such as Ipilimumab, result in high grade adverse events, or immune-related adverse events, in 10-15% of patients that parallel the effects of metastatic melanoma itself. Similarly, several common adjuvant therapies are noted for having the potential of causing cardiovascular disease. In such cases, physicians must weigh the cost of future recurrence against more immediate consequences and consider factors, like age and relative cardiovascular health of a patient, before prescribing certain types of adjuvant therapy. As a result of complications that can stem from liberal use of adjuvant therapy, the philosophy surrounding the use of adjuvant therapy in the clinical setting has shifted towards the goal of doing as little harm as possible to patients. The standards for dose intensity of adjuvant treatments and treatment duration are regularly updated to optimize regimen efficiency while minimizing toxic side effects that patients must shoulder. Concomitant or concurrent systemic cancer therapy refers to administering medical treatments at the same time as other therapies, such as radiation. Adjuvant hormonal therapy is given after prostate removal in prostate cancer, but there are concerns that the side effects, in particular the cardiovascular ones, may outweigh the risk of recurrence. In breast cancer, adjuvant therapy may consist of chemotherapy (doxorubicin, herceptin, paclitaxel, docetaxel, cyclophosphamide, fluorouracil, and methotrexate) and radiotherapy, especially after lumpectomy, and hormonal therapy (tamoxifen, femara). Adjuvant therapy in breast cancer is used in stage one and two breast cancer following lumpectomy, and in stage three breast cancer due to lymph node involvement. In glioblastoma multiforme, adjuvant chemoradiotherapy is critical in the case of a completely removed tumor, as with no other therapy, recurrence occurs in 1–3 months[ citation needed ]. In early stage one small cell lung carcinoma, adjuvant chemotherapy with gemzar, cisplatin, paclitaxel, docetaxel, and other chemotherapeutic agents, and adjuvant radiotherapy is administered to either the lung, to prevent a local recurrence, or the brain to prevent metastases. Adjuvant therapy is particularly effective in certain types of cancer, including colorectal carcinoma, lung cancer, and medulloblastoma. In completely resected medulloblastoma, 5-year survival rate is 85% if adjuvant chemotherapy and/or craniospinal irradiation is performed, and just 10% if no adjuvant chemotherapy or craniospinal irradiation is used. Prophylactic cranial irradiation for acute lymphoblastic leukemia (ALL) is technically adjuvant, and most experts agree that cranial irradiation decreases risk of central nervous system (CNS) relapse in ALL and possibly acute myeloid leukemia (AML), but it can cause severe side effects, and adjuvant intrathecal methotrexate and hydrocortisone may be just as effective as cranial irradiation, without severe late effects, such as developmental disability, dementia, and increased risk for second malignancy. The role of adjuvant therapy in malignant melanoma is and has been hotly debated by oncologists. In 1995 a multicenter study reported improved long-term and disease-free survival in melanoma patients using interferon alpha 2b as an adjuvant therapy. 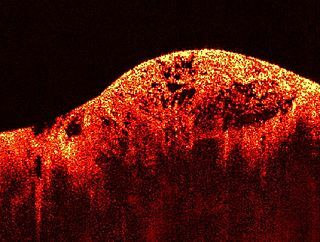 Thus, later that year the U.S. Food and Drug Administration (FDA) approved interferon alpha 2b for melanoma patients who are currently free of disease, to reduce the risk of recurrence. Since then, however, some doctors[ who? ] have argued that interferon treatment does not prolong survival or decrease the rate of relapse, but only causes harmful side effects. Those claims have not been validated by scientific research. Adjuvant chemotherapy has been used in malignant melanoma, but there is little hard evidence to use chemotherapy in the adjuvant setting. However, melanoma is not a chemotherapy-resistant malignancy. Dacarbazine, temozolomide, and cisplatin all have a reproducible 10–20% response rate in metastatic melanoma. [ citation needed ]; however, these responses are often short-lived and almost never complete. Multiple studies have shown that adjuvant radiotherapy improves local recurrence rates in high-risk melanoma patients. The studies include at least two M.D. Anderson cancer center studies. However, none of the studies showed that adjuvant radiotherapy had a statistically significant survival benefit. A number of studies are currently underway to determine whether immunomodulatory agents which have proven effective in the metastatic setting are of benefit as adjuvant therapy for patients with resected stage 3 or 4 disease. Roughly 15% of ovarian cancers are detected at the early stage, at which the 5-year survival rate is 92%. A Norwegian meta-analysis of 22 randomized studies involving early-stage ovarian cancer revealed the likelihood that 8 out of 10 women treated with cisplatin after the initial surgery were overtreated. Patients diagnosed at an early stage who were treated with cisplatin immediately after surgery fared worse than patients who were left untreated. An additional surgical focus for young women with early-stage cancers is on the conservation of the contralateral ovary for the preservation of fertility. Depending on what form of treatment is used, adjuvant therapy can have side effects, like all therapy for neoplasms. Chemotherapy frequently causes vomiting, nausea, alopecia, mucositis, myelosuppression particularly neutropenia, sometimes resulting in septicaemia. Some chemotheraputic agents can cause acute myeloid leukaemia, in particular the alkylating agents. Rarely, this risk may outweigh the risk of recurrence of the primary tumor. Depending on the agents used, side effects such as chemotherapy-induced peripheral neuropathy, leukoencephalopathy, bladder damage, constipation or diarrhea, hemorrhage, or post-chemotherapy cognitive impairment. [ citation needed ] Radiotherapy causes radiation dermatitis and fatigue, and, depending on the area being irradiated, may have other side effects. For instance, radiotherapy to the brain can cause memory loss, headache, alopecia, and radiation necrosis of the brain. If the abdomen or spine is irradiated, nausea, vomiting, diarrhea, and dysphagia can occur. If the pelvis is irradiated, prostatitis, proctitis, dysuria, metritis, diarrhea, and abdominal pain can occur. Adjuvant hormonal therapy for prostate cancer may cause cardiovascular disease, and other, possibly severe, side effects. 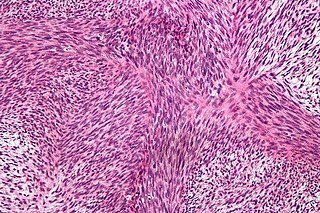 A malignant peripheral nerve sheath tumor (MPNST) is a form of cancer of the connective tissue surrounding nerves. Given its origin and behavior it is classified as a sarcoma. About half the cases are diagnosed in people with neurofibromatosis; the lifetime risk for an MPNST in patients with neurofibromatosis type 1 is 8–13%. MPNST with rhabdomyoblastomatous component are called malignant triton tumors. MammaPrint is a prognostic and predictive diagnostic test for early stage breast cancer patients that assess the risk that a tumor will metastasize to other parts of the body. It gives a binary result, high-risk or low-risk classification, and helps physicians determine whether or not a patient will benefit from chemotherapy. Women with a low risk result can safely forego chemotherapy without decreasing likelihood of disease free survival. MammaPrint is part of the personalized medicine portfolio marketed by Agendia. Cyclophosphamide Methotrexate Fluorouracil (CMF) is a commonly used regimen of breast cancer chemotherapy that combines three anti-cancer agents: cyclophosphamide, methotrexate, and 5-fluorouracil (5-FU). Breast cancer chemotherapy refers to the use of cytotoxic drugs (chemotherapy) in the treatment of breast cancer. Neoadjuvant therapy is the administration of therapeutic agents before a main treatment. One example is neoadjuvant hormone therapy prior to radical radiotherapy for adenocarcinoma of the prostate. Neoadjuvant therapy aims to reduce the size or extent of the cancer before using radical treatment intervention, thus both making procedures easier and more likely to succeed and reducing the consequences of a more extensive treatment technique, which would be required if the tumor were not reduced in size or extent. Esthesioneuroblastoma, also called "olfactory neuroblastoma", is a rare cancer of the nasal cavity. Arising from the upper nasal tract, esthesioneuroblastoma is believed to originate from sensory neuroepithelial cells, also known as neuroectodermal olfactory cells. Uterine serous carcinoma (USC), also known as uterine papillary serous carcinoma (UPSC) and uterine serous adenocarcinoma, is an uncommon form of endometrial cancer that typically arises in postmenopausal women. Carmofur (INN) or HCFU (1-hexylcarbamoyl-5-fluorouracil) is a pyrimidine analogue used as an antineoplastic agent. It is a derivative of fluorouracil, being a lypophilic-masked analog of 5-FU that can be administered orally. Cancer can be treated by surgery, chemotherapy, radiation therapy, hormonal therapy, targeted therapy and synthetic lethality. The choice of therapy depends upon the location and grade of the tumor and the stage of the disease, as well as the general state of the patient. A number of experimental cancer treatments are also under development. Under current estimates, two in five people will have cancer at some point in their lifetime. 1 2 3 4 5 Anampa, Jesus; Makower, Della; Sparano, Joseph A. (2015). "Progress in adjuvant chemotherapy for breast cancer: an overview". BMC Medicine. 13 (195). doi:10.1186/s12916-015-0439-8. PMID 26278220. ↑ DeVita, VT; Chu, E. (November 2008). "A history of cancer chemotherapy". Cancer Research. 68 (21): 8643–53. doi:10.1158/0008-5472.CAN-07-6611. PMID 18974103. ↑ Pennisi, Angela (July 25, 2016). "Relevance of Pathological Complete Response after Neoadjuvant Therapy for Breast Cancer". Breast Cancer: Basic and Clinical Research. 10: 103–106. doi:10.4137/BCBCR.S33163. PMC 4961053 . PMID 27478380. ↑ Teshome, Mediget (Apr 24, 2014). "Neoadjuvant therapy in the treatment of breast cancer". 10.1016/J.soc.2014.03.006. 23 (3): 505–523. doi:10.1016/j.soc.2014.03.006. PMC 4044615 . PMID 24882348. ↑ Gamal Mostafa; Cathey Lamont; Frederick L. Greene (6 December 2006). Review of Surgery: Basic Science and Clinical Topics for ABSITE. Springer Science & Business Media. pp. 37–38. ISBN 978-0-387-44952-4. ↑ "Chemotherapy Side Effects". American Cancer Society. ↑ Kara, Rossfeld (2017). "Metastatic melanoma patients' sensitivity to ipilimumab cannot be predicted by tumor characteristics". International Journal of Surgery Oncology. 2:e43 (9): e43. doi:10.1097/IJ9.0000000000000043. PMC 5673131 . PMID 29177235. ↑ Ahmad, Tarhini (17 April 2013). "Immune-Mediated Adverse Events Associated with Ipilimumab CTLA-4 Blockade Therapy: The Underlying Mechanisms and Clinical Management". Scientifica. 2013 (10.1155/2013/857519): 857519. doi:10.1155/2013/857519. PMC 3820355 . PMID 24278787. ↑ Aleman, Berthe (June 2014). "Cardiovascular disease after cancer therapy". European Journal of Cancer Supplements. 12 (1): 18–28. doi:10.1016/j.ejcsup.2014.03.002. PMC 4250533 . PMID 26217163. ↑ "How Cancer Treatments Can Affect Fertility in Women". American Cancer Society. ↑ Partridge, Ann (2007). "Fertility and adjuvant treatment in young women with breast cancer". The Breast. 16 (2): 175–181. doi:10.1016/j.breast.2007.07.029. PMID 17804236. ↑ OncoLink Team. "Dose-Dense Chemotherapy". OncoLink. The Abramson Cancer Center of the University of Pennsylvania. ↑ Goldvaser, H. (8 February 2018). "Influence of control group therapy on the benefit from dose-dense chemotherapy in early breast cancer: a systemic review and meta-analysis". Breast Cancer Research and Treatment: 1–13. doi:10.1007/s10549-018-4710-5. PMID 29423899. ↑ Ribic CM, Sargent DJ, Moore MJ, et al. (July 2003). "Tumor microsatellite-instability status as a predictor of benefit from fluorouracil-based adjuvant chemotherapy for colon cancer". N. Engl. J. Med. 349 (3): 247–57. doi:10.1056/NEJMoa022289. PMC 3584639 . PMID 12867608. ↑ Boland CR, Goel A (June 2010). "Microsatellite instability in colorectal cancer". Gastroenterology. 138 (6): 2073–2087.e3. doi:10.1053/j.gastro.2009.12.064. PMC 3037515 . PMID 20420947. ↑ "Pancreatic Cancer Survival Rates, by Stage". American Cancer Society. ↑ Ryan, David P. (September 11, 2014). "Pancreatic Adenocarcinoma". The New England Journal of Medicine. 2014 (371): 1039–1049. doi:10.1056/NEJMra1404198. ↑ Burdett, Sarah (2 March 2015). "Adjuvant chemotherapy for resected early-stage non-small cell lung cancer". Cochrane Database of Systematic Reviews. doi:10.1002/14651858.CD011430. hdl:2318/1564912. PMID 29593890. ↑ Wezel, Felix (December 2017). "Do we have biomarkers to predict response to neoadjuvant and adjuvant chemotherapy and immunotherapy in bladder cancer?". Translational Andrology and Urology. 6 (6): 1067–1080. doi:10.21037/tau.2017.09.18. PMC 5760384 . PMID 29354494. ↑ Tabayoyong, William (May 2018). "Optimal Timing of Chemotherapy and Surgery in Patients with Muscle-Invasive Bladder Cancer and Upper Urinary Tract Urothelial Carcinoma". Urological Clinics. 45 (2): 155–167. doi:10.1016/j.ucl.2017.12.002. PMID 29650132. ↑ Bonadonna G, Valagussa P (January 1981). "Dose-response effect of adjuvant chemotherapy in breast cancer". N. Engl. J. Med. 304 (1): 10–5. doi:10.1056/NEJM198101013040103. PMID 7432433. ↑ Fisher, Bernard; Redmond, Carol; Dminitrov, Nikolay; Bowman, David; Legault-Poisson, Sandra; Wickerham, Lawrence; Wolmark, Norman; Fisher, Edwin; Margolese, Richard; Sutherland, Carl; Glass, Andrew; Foster, Roger; Caplan, Richard (February 23, 1989). "A Randomized Clinical Trial Evaluating Sequential Methotrexate and Fluorouracil in the Treatment of Patients with Node-Negative Breast Cancer Who Have Estrogen-Receptor-Negative Tumors". New England Journal of Medicine. 320 (8): 473–478. doi:10.1056/NEJM198902233200801. PMID 2644531. 1 2 "Survival Rates for Ovarian Cancer, by Stage". American Cancer Society. ↑ Tropé, Claes; Kaern, Janne (10 July 2007). "Adjuvant Chemotherapy for Early-Stage Ovarian Cancer: Review of the Literature". Journal of Clinical Oncology. 25 (20): 2909–2920. doi:10.1200/JCO.2007.11.1013. PMID 17617522. ↑ Kumar, Lalit (3 February 2018). "Chemotherapy and targeted therapy in the management of cervical cancer". Current Problems in Cancer. doi:10.1016/j.currproblcancer.2018.01.016. 1 2 DeLeon, Maria C. (2015). "Adjuvant therapy for endometrial cancer". Journal of Gynecologic Oncology. 25 (2): 136–147. doi:10.3802/jgo.2014.25.2.136. PMC 3996264 . PMID 24761218. ↑ Galaal, K; Al Moundhri, M (15 May 2014). "Adjuvant chemotherapy for advanced endometrial cancer". Cochrane Database of Systematic Reviews (5): CD010681. doi:10.1002/14651858.CD010681.pub2. PMID 24832785. 1 2 Chovanec, M (13 September 2016). "Management of stage I testicular germ cell tumours". Nature Reviews Urology. 13: 663–673. doi:10.1038/nrurol.2016.164. PMID 27618772. ↑ "Testicular Cancer Survival Rates". American Cancer Society. ↑ Travis, LB (4 August 2010). "Testicular cancer survivorship: research strategies and recommendations". Journal of the National Cancer Institute. 102 (15): 1114–30. doi:10.1093/jnci/djq216. PMC 2914759 . PMID 20585105. ↑ Hanna, Nasser H. (November 20, 2014). "Testicular Cancer — Discoveries and Updates". The New England Journal of Medicine. 371: 2005–2016. doi:10.1056/NEJMra1407550.